In a nutshell: HDMI cables connect today's TVs with A/V receivers, cable boxes, media players, and Blu-ray players. They send audio and video over the same cable, simplifying your hookups. Choosing the right HDMI cables can be tricky. Older cables don't support the latest features. The latest HDMI 2.0 cables support 4K TV and HDR (High Dynamic Range). In this article, we'll explain what the differences are among the different versions of HDMI, including the most recent one: HDMI 2.0b. You’ll learn what kind of HDMI cables you need for a 4K TV. And finally, we'll look at some real-world HDMI hookup issues along with solutions and workarounds. HDMI's pure-digital interface is the best way to connect high-resolution components — Blu-ray players, media streamers, the latest game consoles, and HD-capable satellite and cable TV set-top boxes — to HDMI-equipped TVs, home theater receivers, and sound bars. These days, HDMI is often the only way to make an HD-capable connection. Although a few TVs still have a component input, it has virtually disappeared on Blu-ray players. Equipment manufacturers have been required to limit the resolution of component video outputs on HD players and boxes to standard-definition (480i). And for a few years now disc makers have had the option of inserting a "digital flag" into a Blu-ray disc that will limit component video resolution to 480i. So if you like high-definition and 4K pictures — and who doesn't? — you'll definitely want HDMI connections on your gear. HDMI is the connection of choice for carrying HD and 4K Ultra HD video signals. It can also support up to eight channels of high-resolution audio. The ability to send high-definition video and multichannel audio over a single cable is unique to HDMI, but this interface offers other big advantages. HDMI connections keep audio and video signals in the digital language of 1s and 0s, eliminating the compromised picture and sound quality caused by digital-to-analog conversions and re-conversions. HDMI supports video resolutions up to 4K, which is key for 4K TVs and Ultra HD Blu-ray players. And HDMI's sound capability supports up to 8 channels of super-high-quality 24-bit/192kHz audio. HDMI is the only connection that can carry 3D video signals from components like a 3D Blu-ray player to your 3D-capable TV or projector. A standard HDMI connector has 19 pins, which carry not only audio and video data, but also 2-way control and identification information, and even low-voltage power. HDMI cables labeled "1.4" or newer can also provide an Internet connection between compatible devices. This probably seems like more of a benefit for content owners like movie studios than for consumers, but it directly affects the quantity and quality of what we can watch. HDMI's wide adoption is due in large part to Hollywood's demands for ever-stronger copy protection measures to prevent piracy. HDCP (High-bandwidth Digital Content Protection) is present on virtually all HDMI-equipped devices even though it's not officially part of the HDMI spec. Without HDCP, both the quantity and quality of high-def content available to consumers would almost certainly be more limited than it is. HDCP 2.2 is the most recent version. However, HDCP also has a downside. One of its main jobs is to "authenticate" the connection between two components via a "digital handshake," and problems with this handshake process can result in the loss or degradation of picture and sound. Some components include an HDMI cable in the box, but most don't, so plan on buying one. You won't see dramatic differences in picture quality among HDMI cables. Unlike analog video transmission, which can display varying degrees of picture quality, digital video transmission typically delivers a clean, clear picture or no picture at all, although we've occasionally seen picture "sparkles" due to a less-than-flawless HDMI connection. For in-wall installation, you'll need a cable that's CL2-rated, like the Crutchfield Premium models. You'll still want to choose a high-quality HDMI cable, especially for longer lengths or in-wall installations. 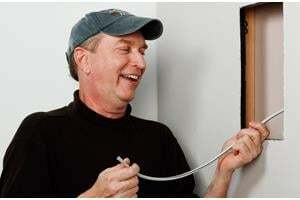 Different cables use different materials and construction techniques, and some are rated by the manufacturer to maintain maximum signal quality over longer cable lengths. Some users have encountered interoperability issues when making HDMI connections, but these are almost never the fault of the cable itself. HDMI is the accepted universal connector for digital home entertainment. 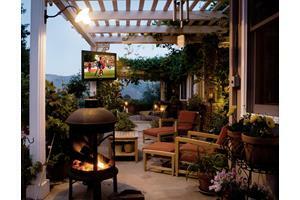 The standard continues to evolve to meet the needs of high-performance home theater equipment. All versions of HDMI are backward compatible with previous versions. Part of the built-in intelligence of HDMI enables it to automatically send the highest quality video and audio formats that are mutually supported. In other words, if you connect two devices, one with HDMI version 1.3 and the other with 1.4, the system will be limited to the 1.3 feature set. Although you'll often see the HDMI version listed as part of a component's specifications, it's probably best not to pay much attention to it. For specific details about a particular component's audio and video capabilities, you're better off focusing on the component's feature list. A product's HDMI version by itself doesn't mean that all the latest features have been implemented; it does not guarantee a particular feature set. The reason is that the capabilities listed for each version of HDMI are optional, not mandatory. It's up to each manufacturer to decide which HDMI features to build into its gear. Do I need to worry about compatibility between HDMI versions? Only if you're working with components that use the latest HDMI version — currently 2.0b — and want to take advantage of certain features that are new to the latest spec. However, each new HDMI version is backwards compatible with older versions, so your older and newer HDMI-equipped components can generally still work together. So even if you use a 1.2 cable on 1.4 gear, or a 1.4 cable on 1.1 gear, you'll still get great picture and sound. 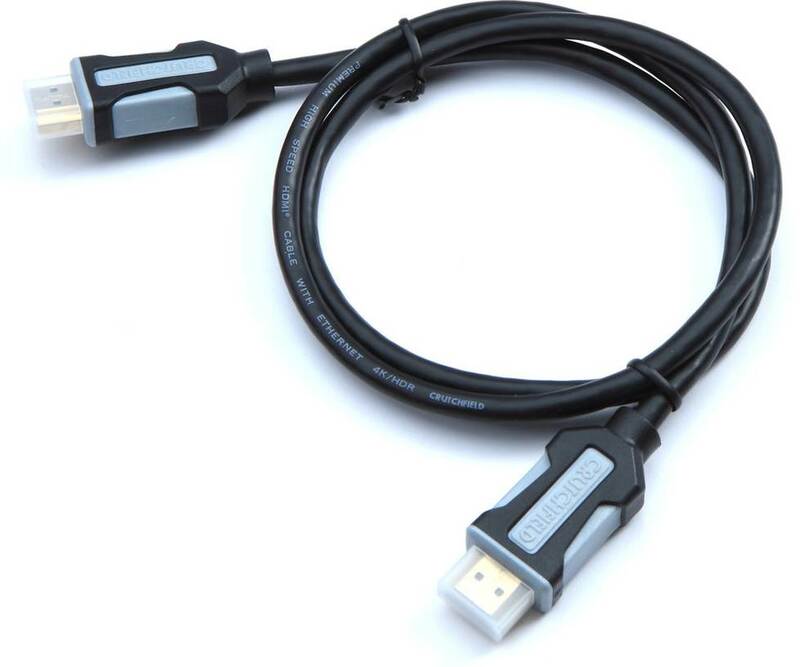 HDMI 1.0: The original spec called for a single-cable digital audio/video connection with 165MHz bandwidth and a maximum bitrate of 4.9 Gbps (enough for 1080p video). Two-channel audio only. Released December, 2002. HDMI 1.1: Added multichannnel audio support for DVD-Audio (up to 5.1 channels). Released May, 2004. HDMI 1.2: Added support for multichannel one-bit audio formats like SACD (Super Audio CD). Included support for HDMI connectors on personal computers. Required displays with HDMI 1.2 or later to support future low-voltage devices. Released August, 2005. HDMI 1.2a: Fully specified the Consumer Electronic Control (CEC) features and command sets for remote control functions. Required cable manufacturers to submit longer cable lengths for additional testing for spec compliance. For a device to pass 1.2a testing, all of its HDMI connectors required inspection and approval by HDMI Licensing, LLC. Released December, 2005. HDMI 1.3: Increased bandwidth to 340MHz and the maximum bitrate to 10.2 Gbps (plenty for 3D video). Added ability to output new lossless compressed digital audio formats (Dolby® TrueHD and DTS-HD Master Audio™) for decoding by a compatible A/V receiver. Incorporated automatic "lip sync" control for perfect audio/video timing (sometimes an issue when audio is sent to a surround receiver or processor and video is delivered directly to the display). Also made available a new mini-connector for use with smaller devices such as digital cameras and camcorders. Released June, 2006. The 1.3 spec was updated to 1.3a, followed by 1.3b. However, for consumers, there is no difference between versions 1.3, 1.3a or 1.3b. These are minor revisions that relate to manufacturing and testing issues and do not affect features or functionality. HDMI 1.4: Added Ethernet capability. If one HDMI 1.4 device is connected to your home network, it can share that connection with other Internet-ready HDMI 1.4 devices via a 1.4 HDMI cable. Note: As of 9/18 we are still unaware of any components that support Ethernet over HDMI. Also included the capability to send audio from your TV's tuner back to your home theater receiver. HDMI inputs with this ARC (Audio Return Channel) capability are ideal for folks who get their high-def programs over the air using an antenna and want to be able to enjoy surround sound with those TV shows. Released May, 2009. A TV's regular HDMI inputs accept video and audio signals from sources like a Blu-ray player. If your TV has an HDMI input with ARC (Audio Return Channel), it can also pipe sound from the TV's built-in tuner and web apps back to an ARC-compatible A/V receiver or sound bar over a single HDMI cable. That way, you don't have to connect a separate optical audio cable for sound. HDMI 2.0 also supports up to 32 audio channels, as well as dynamic auto lip-sync, plus new extensions to the CEC control set. Released September, 2013. HDMI 2.0a: Added support for HDR (High Dynamic Range) video display. HDR provides enhanced picture quality by enabling greater detail for both the dark and bright parts of an image, as well as a wider color gamut. The HDR information is encoded as additional metadata in HDR content such as streamed 4K video from Netflix®, or Ultra HD Blu-ray discs. HDMI 2.0a enables devices to transmit/receive this metadata. Released April, 2015. HDMI 2.0b was a fairly minor update that mainly added support for HLG (Hybrid Log Gamma) HDR. HDMI 2.1: A major upgrade, including a huge increase in bandwidth capability to 48 Gbps, to support a range of higher video resolutions and refresh rates, including 4K/120 and 8K/60. 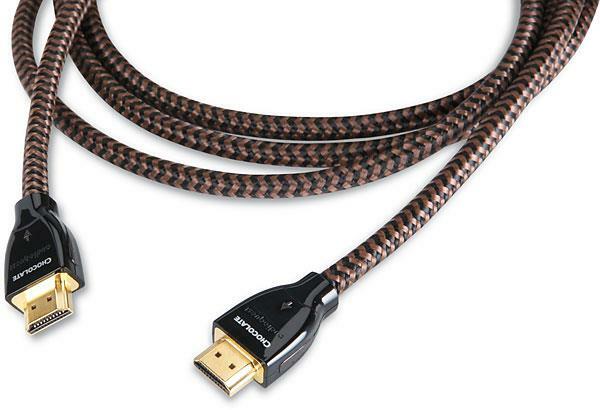 Cables that support the new HDMI 2.1 features will be called Ultra High Speed HDMI Cables. They will be backwards compatible with existing HDMI devices. The 2.1 specification was released in October, 2017, but the first compatible devices and cables are not expected until late 2018 or early 2019. As of 9/18 we've not yet seen 2.1-compatible components or cables. Will I need a special "4K-compatible" HDMI cable? Depending on how good — and how old — your current HDMI cables are, you may not need to upgrade to "4K-compatible" cables. HDMI cables often list their maximum data capacity, and in order to handle 4K/60Hz video signals, the HDMI 2.0 spec raised the maximum capacity from 10.2 Gbps to 18 Gbps. Current HDMI cables that are labeled "high speed" should be able to handle the increased bandwidth of 4K signals at lengths up to three meters. For longer lengths, we recommend "active" HDMI cables, which include a processing chip to ensure that your signals travel from source to display with no loss or interruption. Shop 4K and HDR-compatible HDMI cables. Different HDMI versions may cause some interoperability issues — for example, you generally won't be able to get HDMI 1.4 features with non-1.4 gear and cables. See our HDMI 1.4 questions below for more details. Some problems are also caused by a manufacturer's improper or incomplete implementation of the technology. Some incompatibilities in the digital "handshake" of the HDCP copy-protection code still exist between HDMI-connected components, especially when routed through an HDMI-equipped home theater receiver. Whenever problems like these are discovered, the HDMI standards group contacts the manufacturer and requires that the issue be resolved. In some cases, products have been recalled. Beyond the initial handshake, there are other possibilities for miscommunication between components. At the beginning of the article, I mentioned that HDMI supports two-way communication between a video source and a TV. Part of that digital conversation is known as "EDID" (Extended Display Identification Data), which describes the TV's capabilities to the source component. EDID info typically includes the manufacturer name, product type, screen resolution, and color depth. Thanks to EDID, two devices can not only talk to each other, they'll actually know whom they're talking to. And that makes auto-configuration possible, which simplifies your setup process. We get quite a few calls about long HDMI runs for homes or commercial A/V systems. 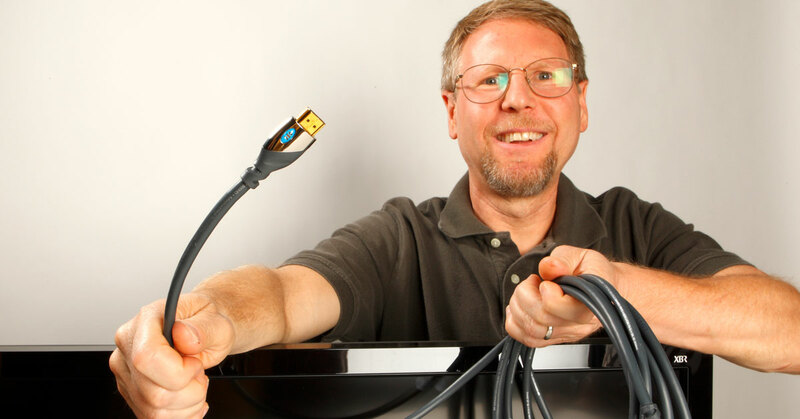 One of the newest and best-performing solutions is Celerity Technologies' fiber optic HDMI cables. These high-tech cables deliver outstanding picture and sound quality, even with full 4K content, at distances up to 1,000 feet — far beyond the reach of conventional copper-based cables. 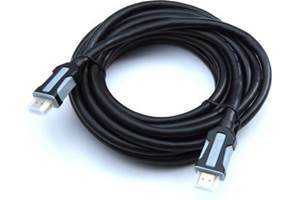 Celerity cables work by converting electrical HDMI data into optical signals inside the fiber optic HDMI connectors. The signals are converted back to an electrical HDMI data stream at the connection to your TV or projector. Since the cable is fiber optic, there's no signal loss, even over long runs, and it's immune to interference from appliances, wireless devices, and computers. Make sure your TV and home theater receiver are both HDMI 1.4 components, and that they both support the Audio Return Channel. This may surprise you, but most TVs with 1.4-rated HDMI inputs only support Audio Return Channel on one of those inputs. The problem is likely that one of the components in your system doesn't support 3D video. For example, if you try to play a 3D Blu-ray movie on a TV that can't display 3D, the TV won't know what to do with the signal and the screen will be blank. The same thing can happen if you're routing your 3D Blu-ray player's video signal through a non-3D home theater receiver. The receiver won't be able to pass 3D video on to your TV, resulting in an empty screen. Many 3D Blu-ray players require you to choose between 3D and 2D viewing when you load a Blu-ray disc. If you choose 3D, the player switches to 3D mode, and you have a short amount of time to confirm your selection. If you don't confirm, the player assumes you might not be able to see the image, and reverts back to 2D. If your TV is set to display video in 3D only, it may not be able to accept a regular 2D signal. Go into your TV's display menus and select "Auto" (or something similar) &mdash that tells the TV to display any incoming signals, 2D or 3D, rather than only 3D. 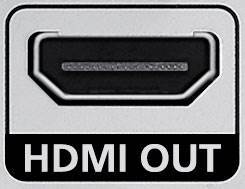 Some video components come from the factory with the HDMI output set to "off." You can switch it to "on" via the player's setup menu, or sometimes by pressing the "HDMI" button on the component's front panel or remote. Most TVs lack built-in decoding for Dolby Digital and DTS surround sound, and can only play 2-channel audio. But many HDMI-equipped video components come from the factory set up to send multichannel audio. Usually, just changing the component's audio setting to "2-channel (PCM)" solves the problem. This is usually the fault of the cable box, since some local cable providers may not have upgraded their customers' equipment with new firmware or new boxes to make them fully compliant and compatible with HDMI-equipped TVs and A/V receivers. Customers should report problems to their local cable providers. 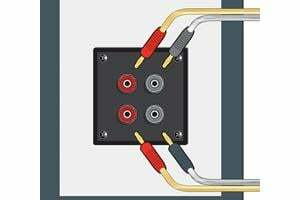 As with most HDMI-related connectivity issues, one effective workaround is to use component video connections and optical or coaxial digital audio connections. Unfortunately, the HDMI spec doesn't include any requirement for carrying closed captioning data. So, if you connect a video component like an HD cable or satellite receiver or Blu-ray player to your HDTV using HDMI, you won't see conventional closed captions. If you need to view closed captions from your cable or satellite box, use a component video connection — the closed captions will pass through and you'll still enjoy a high-def picture. A related issue is that many DVDs and Blu-ray discs simply aren't encoded with closed captioning data. However, most discs are encoded with subtitles, which are similar to closed captions, and subtitles are compatible with HDMI. In fact, a growing number of content providers are using a particular type of subtitling called "Subtitling for Deaf and Hard of Hearing," which is optimized for people with hearing disabilities. While not all discs include subtitles, virtually all DVD and Blu-ray players are capable of decoding subtitles if they're present. We've mentioned HDMI's intelligent two-way communication between components, but sometimes it actually contributes to hookup problems. Normally, the display tells the source device about its video and audio capabilities. Virtually all TVs are limited to 2-channel audio playback. Since many A/V receivers employ a "repeater" type of HDMI switch, the receiver simply passes the 2-channel information to the source, despite the receiver's multichannel capabilities. So, the player sends only 2-channel audio to the receiver, rather than high-quality surround sound. One handy workaround would be to simply run a separate optical or coaxial cable for audio. Unfortunately, many HDMI-equipped components are designed to turn off digital audio outputs when the HDMI output is in use. We have found that some models do this and some don't (even from the same brand), and going forward, we expect to see more models switching off their digital audio outputs. 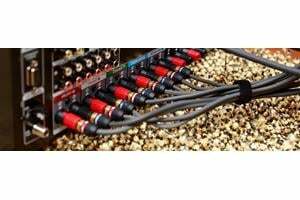 Another receiver-related HDMI sound issue: some older HDMI-equipped receivers aren't designed to pass audio through their HDMI connections — they perform video switching only. To get multichannel audio from these receivers, you need to connect an optical or coaxial digital cable from your video source to the receiver. Only a few entry-level receivers still have this limitation, but it's something to be aware of.